Does my daughter, who has an IEP, have to be served by resource classes or can she be totally in mainstream classrooms? Special education is not the resource room, the classroom in the trailer, or the special school across town. The IDEA includes a “least restrictive environment” (LRE) requirement. 20 U. S. C. § 1412(a)(5) – See page 72 in Wrightslaw: Special Education Law or Chapter 10 – Placement in Wrightslaw: All About IEPs. If the IEP of a student with a disability can be implemented satisfactorily with the provision of supplementary aids and services in the regular classroom in the school the student would attend if not disabled, that placement is the LRE placement for that student. When school personnel view special education as a “place,” they often fail to evaluate the child’s unique needs and how the school can meet these needs. That’s the “I” in IEP. “What we have available” usually refers to one-size-fits-all programs that are not individualized to meet a child’s unique needs. This entry was posted in FAPE, LRE / Inclusion, Placement and tagged Continuum of Placement, Inclusion, Least Restrictive Environment, LRE, Mainstream, Placement, Resource Room by Wrightslaw. Bookmark the permalink. It infuriates me. Inclusion has its place. Self contained classes have a place. Moving to only either one or the other is just a way to not hire as many special ed teachers and drastically cuts the help and resources kids like mine get. I tell parents to think long term–if you are stuck with this school district -do not waste time trusting that district to remediate your son. What are his goals (college, vocational school, etc)? Look at the goals and ensure that he receives proper instruction and even if needed assistive technology. You may need to do this on your own until you work it out with the school but don’t waste time. Talk to the disaiblity offices at your state and local colleges to see how students with dyslexia use assistive tech and accommodations. Review dyslexia summer programs for your son. Involve him so he learns to self advocate. His strength will be in recognizing his own deficits but most of all his strengths. Those strengths will help him SOAR high!!! If your district considers someone with a severe intellectual disability and someone with autism (non-verbal or not), to be one category of learner, then I think you should find a different school district to live in! How they pay for it isn’t your problem, but you could suggest they dip into their Auxiliary Services and IDEA Part B funding…they’ll figure it out! Our district has an open enrollment policy that lets any student in the district open enroll in any school. Within this model, there are what they call “focus” schools, which are similar to magnet schools with special educational models. They are not charter schools but are made up entirely of students who choice in. “Focus” schools only have “resource” level of supports, whereas neighborhood schools have “intensive learning centers” AKA resource rooms. The district counsels out children with identified intellectual disabilities (including my own 4yo with Down syndrome) from attending the focus schools. We open enrolled in the Montessori school anyways, against their counsel but with support of the school principal, and wonder what our legal rights are? Lauren, the answers to your questions will be specific to your state. Suggest you contact an advocate or attorney with expertise in special education matters in your state. Requesting a consult to develop a game plan for your son at his age will be helpful. To find attorneys and advocates in your area, go to the Yellow Pages for Kids site at http://www.yellowpagesforkids.com and/or COPAA at http://www.copaa.org. My son who is Autistic is in a private school. Son was in General Education class and then thrown into a Special Autistic Support class. I am really furious because he learns a lot from his peers. I confronted the school about his placement and they replied that the teacher and other students cannot stand him and he is interrupting their right to learn. I mentioned that my son has rights as well and I will be pulling him out of school. Their reply was oh well you can pull him out but you have to pay for the rest of the school year! What should I do? I don’t know about the legal issue, I guess it depends on your agreement/contract with the private school when your son started. I would also remove my child from that school. They obviously don’t deserve to have him there. The research supporting IDEA’s least restrictive environment rules is pretty well settled. “Mainstreaming” as much as possible benefits everyone, not just the student needing additional support. We have some flexibility in our area with open enrollment and parents can choose where to send their children, or they move to exceptional districts – (and these aren’t always in affluent areas, BTW!) If you have some choice too, research different schools. Visit the school, talk to parents, invite yourself to community events — and keep fighting for your son! I teach at a school that places children in classes based on their state assessment score. All of the students that have special education services are placed in the same class by grade level. The students are aware of this, and oftentimes I hear them saying they are “the dumb class”. Is this practice legal? If so, how is it beneficial to students? Students are aware of when they are being “tracked” and it impacts them. Yes, it easier to place them all in the same room to track special ed services but is it wise. I had my child removed from a lower tracked class. My child wanted college prep and had goal. 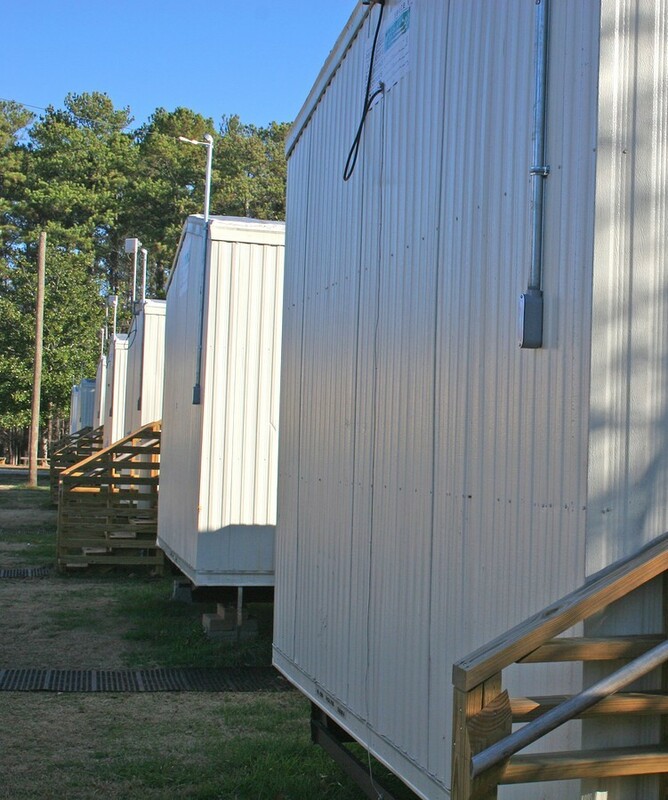 The behaviors in the lower tracked classroom were alarming as they also sometimes placed behavioral students in those classes, and the teacher had no control in the classroom. I advocated that the instructional design and delivery did not comply with my child’s IEP and my child was removed ASAP and placed in a small group and received the appropriate instructional model and delivery. I also politely mentioned the word “tracking” and well the school did not want to admit that they were tracking students. I’m concerned, first my daughter had no para support in her new school and now they have clustered her in all special education rooms when she can function in normal class rooms, just needs para support and adjusted assignments. She learns alot from her peers. When changing a special education student’s schedule from a general education elective course to a special education study skills class, isn’t that placing them in a more restrictive environment? Yes; however, a study skills class may be beneficial to the child. I agree. My child’s school created a study skills class instead of putting a bunch of the kids in elective classes–that study skills class gave them the “extra” they needed to make progress and continue on into high school. It supplemented their education in addition to what they were already learning. It was a creative way to really give those kids more academics, experimental learning projects, etc. I thought it was a great idea and truly inspired the kids to higher goals–my child and others went on to college. It was a unique approach and the school district tried something new–and it worked. Most of these kids were just below scores on state assessments and LD–very creative learning objectives. I really like what you said about how special education services should be delivered in regular education classes and not removing the children from each other except in special circumstances. My little brother was often to be separated from his classmates and had a hard time with it since he’s very social and no danger to anyone. Thank you for the clarification on the law and how it would affect someone with his disabilities.